Valeria is a strip-paper pieced quilt pattern that comes with instructions for four sizes (lap to king). 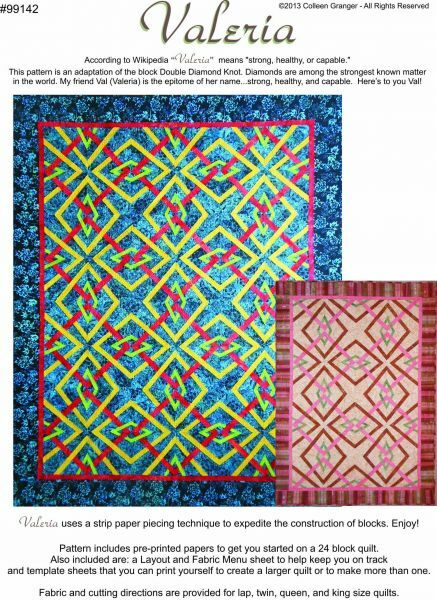 The pattern includes pre-printed paper to make the lap quilt as well as Master Pages to print off more should you want to make a larger design. The pattern is only one block that is twisted and turned to make the square and diamond designs.